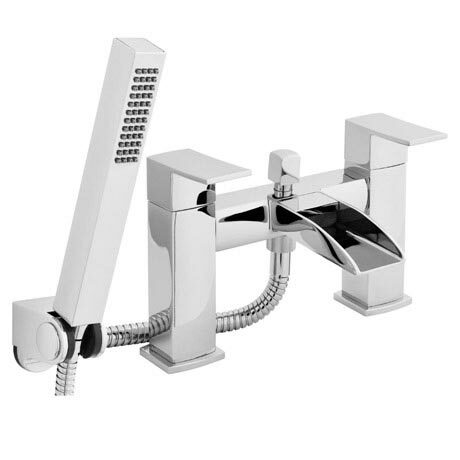 The stylish modern Moat bath shower mixer from Premier, features an open spout design which produces a stunning waterfall effect. Incorporates ceramic disc technology for smoother control. Supplied with a hand held shower head, wall bracket and the flexible hose. Guaranteed for 10 years by Ultra.